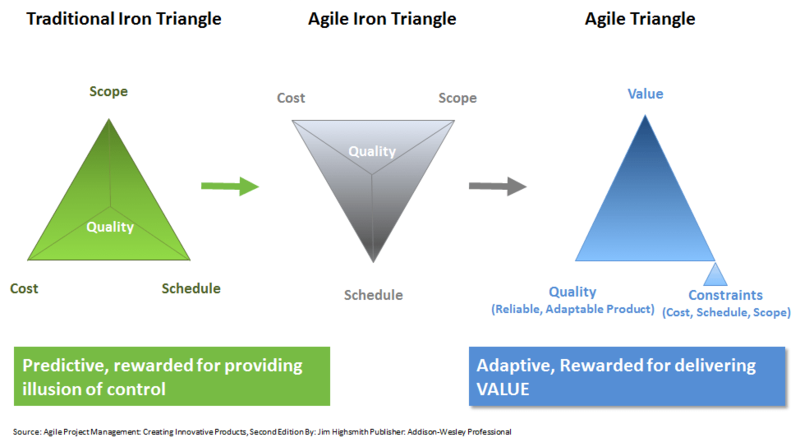 The traditional iron triangle of project management, the left-most triangle, consists of scope, schedule, and cost. In many cases scope was the primary driver (because the false assumption was made that scope was known early in the project) and cost and schedule varied—although many managers attempt to lock down all three dimensions. The second triangle represents an early view of measuring agile development where schedule was fixed (time-boxed) and scope was allowed to vary—that is, time was used as a fixed constraint. Unfortunately, this second triangle still conforms to the existing iron triangle measures. Success, in many organizations and perpetuated by research organizations like the Standish Group, is still viewed as conformance to cost, schedule, and scope. If conformance to plan defines success, then how will agile projects that adapt continuously ever be deemed successful? If you find this article useful, you can check out our sample PMI-ACP Agile Courseware slides here. In ref. to the 2nd triangle – your agile iron triangle you ask how can project ever be deemed successful. I suggest that it is easy – when the criteria for success is measured at the micro scale that scrum provides, the sprint. If a sprint (time box e.g. schedule) completes on time then this aspect is fulfilled. If the sprint delivers the planned stories (features, e.g. 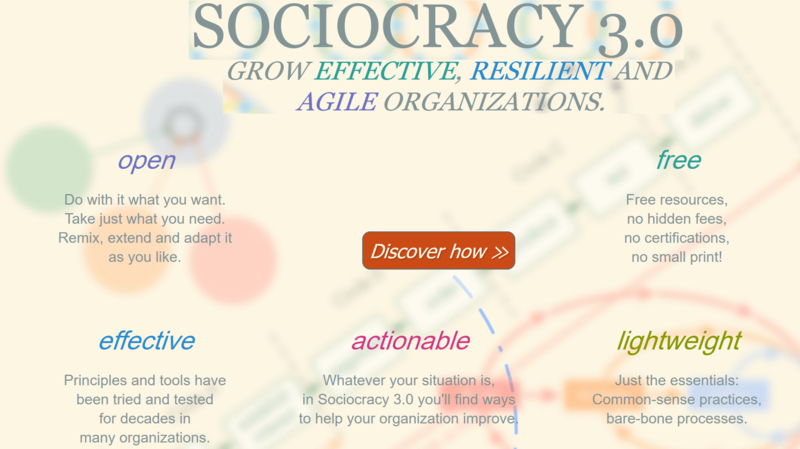 scope) that the team committed to at the sprint planning then this aspect is fulfilled. If the team remained the same size (which typically happens – although one could argue that even planned team size changes are within the budget plan) then the cost aspect is fulfilled. When all three of these aspects are achieved concurrently then the sprint was a success. And everyone knows that project success is built from and upon many smaller successes. One could tract the trend of sprint successes – I believe this is a great indicator of project success. Much easier that predicting some percentage of complete to 4 significant digits.